I truly believe the experiences of and quality of the school that your daughter attends will mould her into the adult she will become. There are many reasons why I love Wychwood. It is a unique day and boarding school for girls aged 11-18 and we know each child, their strengths and their weaknesses and there is nowhere to hide. A school’s admissions process speaks volumes about the values and ethos of a school. 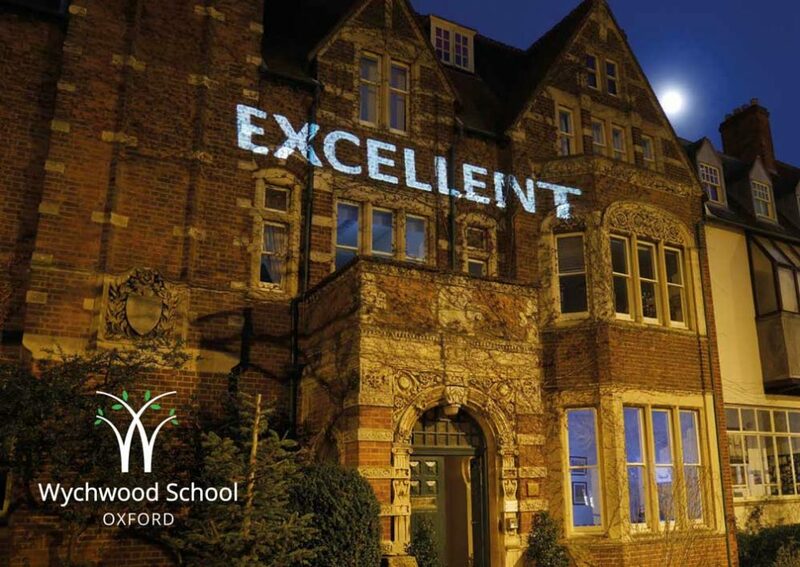 I chose Wychwood because it was the most kind, humane and fun, the admissions process drew out my daughter’s strengths more than her weaknesses and I believe it is the most confidence building school in Oxford for her. My experience has borne this out – conversations happen and actions are quickly implemented because of the size of the school and that relationships matter. I love Wychwood because it is so welcoming. Everyone knows each other and there aren’t friendship cliques. My daughter is so happy! We feel so pleased that she is not in an academic hot house and the school really knows and values each child as an individual. That is not to say academics are not important, the teaching is excellent and the expectations are high. I wouldn’t hesitate to recommend Wychwood to any parent. It is a very special school. Thanks for doing an amazing job as I realise even more now how important teachers are in shaping us as adults (even if we didn’t appreciate it at the time!). Without your teaching, essay planning lessons and your belief in me I would not have been able to achieve what I have so thank you so much! If you would have told a younger me that I would get an A* at A Level and then a first in my dissertation I would have thought you were joking! You played a vital part in me being able to achieve this so I just wanted to pass on my thanks and tell you how grateful I am for your wisdom! To truly understand Wychwood you need to hear from the girls, teachers, parents and old girls who make up our family. 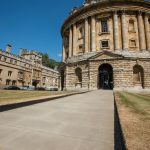 Our location, in the heart of Oxford, is fundamental to the school’s unique approach and character. The spaces, facilities and inspirational things that surround us are part of everyday school life. Use this interactive map to explore some of them. Our sports fields and courts are used all year round for PE lessons and fixtures in netball, hockey, tennis, athletics and rounders. The fields also host tournaments we hold and the annual sports day. Offering an escape from the hustle and bustle of the City, but conveniently located right at its heart, is the green oasis offered by University Parks – with something to please everyone. 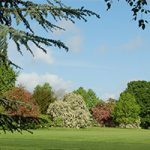 It boasts a choice of walks, a large collection of trees and plants and space for informal games and picnics with the river Cherwell bordering to the north. Wychwood girls come together for their fun runs here and individually love the freedom the uni parks offers. 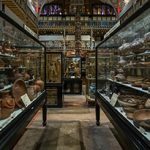 The Pitt Rivers Museum displays archaeological and ethnographic objects from all parts of the world and all time periods. It is truly a global museum. The museum is also a teaching and research institution and the curators are also university lecturers in either cultural anthropology or prehistoric archaeology. The shrunken heads are an annual and enjoyably spine-tingling attraction for Wychwood girls. Founded in 1860 the Museum holds the University’s internationally significant collections of geological and zoological specimens. 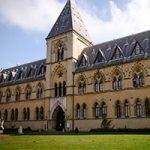 Housed in a stunning example of neo-Gothic architecture, among its most famous features are the Oxfordshire dinosaurs, the Dodo, and the swifts in the tower. 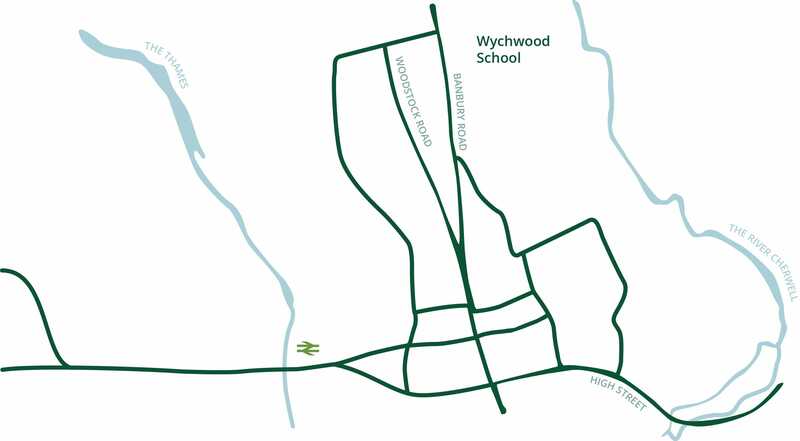 The MNH visit is a regular item in Wychwood’s calendar. 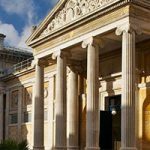 MHS houses an unrivalled collection of early scientific instruments in the world’s oldest surviving purpose-built museum building, the Old Ashmolean. As well as the permanent displays, visitors enjoy special exhibitions highlighting areas of the collection and Wychwood visitors always enjoy their trips. 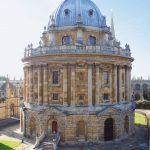 The Bodleian Library is one of the oldest libraries in Europe, and in Britain is second in size only to the British Library with over 12 million printed items. First opened to scholars in 1602, it is one of six legal deposit libraries for works published in the United Kingdom. It is a truly unparalleled resource especially for the Wychwood EPQ students. The Ashmolean is the University of Oxford’s museum of art and archaeology, founded in 1683. Our world famous collections range from Egyptian mummies to contemporary art, telling human stories across cultures and across time. It forms an invaluable resource for many Wychwood departments, especially the creative arts. 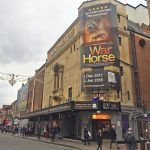 The New Theatre is the main commercial theatre in Oxford. It puts on a wide variety of shows, from musical theatre, to stand-up comedy and concerts. Visits are fun and uplifting. 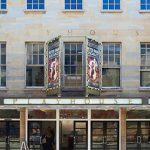 Oxford Playhouse is a theatre for everyone,presenting, producing and creating a wide range of live performance. It also produces and tours its own shows, hosts Artists in Residence and presents Playhouse Plays Out. Wychwood is a regular patron. 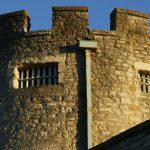 Oxford Castle is 1000 years old and provides a taste of Oxford’s fascinating history. Guided tours take you back in time to explore Saxon towers, the 900 year old crypt and the 18th century prison. Oxford Castle also forms the backbone of the history department’s coursework. The Radcliffe Camera is one of Oxford’s most striking buildings. It was built in 1737-1749 and was designed to be the location of the Radcliffe Science Library. It is the first example of a circular library in England. It is another superlative architectural resource for the Wychwood art historians. 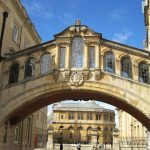 The Bridge of Sighs (Hertford Bridge) joins two parts of Hertford College over New College Lane. Its distinctive design makes it a city landmark. The bridge is often referred to as the Bridge of Sighs because of its similarity to the famous Bridge of Sighs in Venice even though it was never intended to be a replica. Our photographers, artists and art historians all regularly feature the Bridge of Sighs in their work. 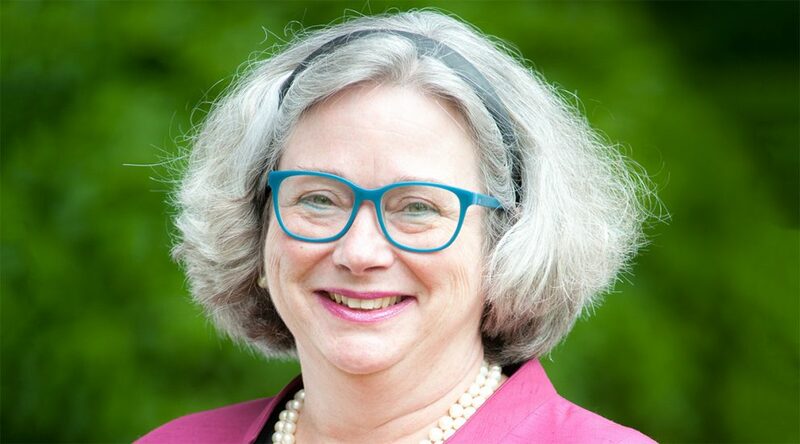 I greatly enjoyed my 2 years at Wychwood – I was taught to think for myself. More you say? 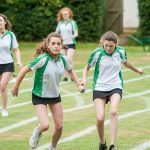 Next term we have Sports Day, Taster Days, two @anneofgreengabl performances, General Studies week, Cricket, a trip to @THORPEPARK, Drama and the annual picnic! Oh and possibly some GCSE and A Level exams (ssssssh!). Have a restful Easter girls, you'll need it! So, another term is over and what a term it has been.... Wychfactor, Performing Arts, Wingfield Digby Lecture, #Brexit talks, Youth Speaks, Theatre Trips, Mocks, Netball, Scholarships, Form Plays, World Book Day, @Youngartoxford @youngenterprise, @HABSMUN and Fashion. Happy hols! Wychwood has played a large part in making my girls the wonderful people they are today.